The end of a hard working day, a fishing boat is returning to its moorings in Bunnahabhain Bay at the Sound of Islay. 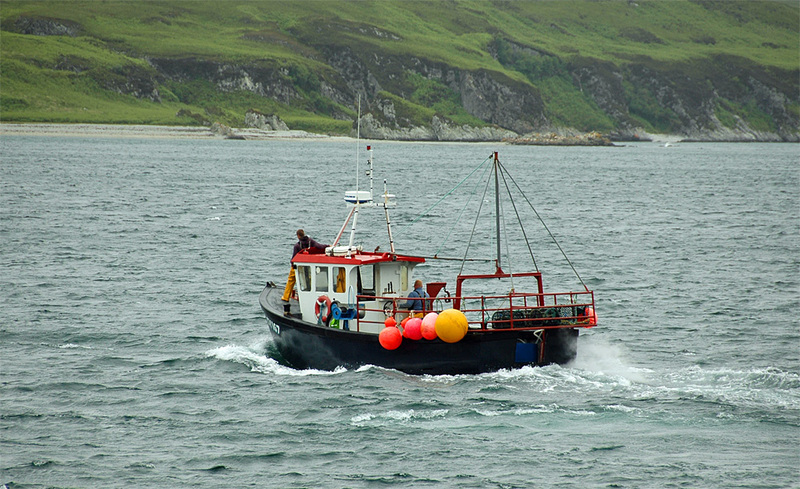 This entry was posted in Cloudy Weather, Landscape, Repost and tagged Bunnahabhain, Fishing Boat, Islay, Sound of Islay by Armin Grewe. Bookmark the permalink.